All work and no play makes Jack a dull boy. And that’s why I have put together this list of the most beautiful places to travel during a vacation. Considering the stress of everyday life, and the amount of time we spend away from our family, it is only natural that we spend the available time together in some of the most wonderful places around. There are so many amazing places to visit in the world, such that it gets really difficult to choose the perfect holiday destination. Nonetheless, there are some places that pop up all the time and it will be a crime to not include them in any list of the most beautiful places in the world. I am yet to visit quite a few of these places but I have made it my goal to visit some of these places before I clock 40. Unlike myself, you are probably ready to visit some of the most beautiful places in the world and you are in need of direction. Look no further. Here is our top choice list of the most beautiful places to travel when planning your next vacation. One word to describe this island: Heavenly. This beautiful island consists of two dormant volcanoes that rise at its center and spill into an aquamarine lagoon. 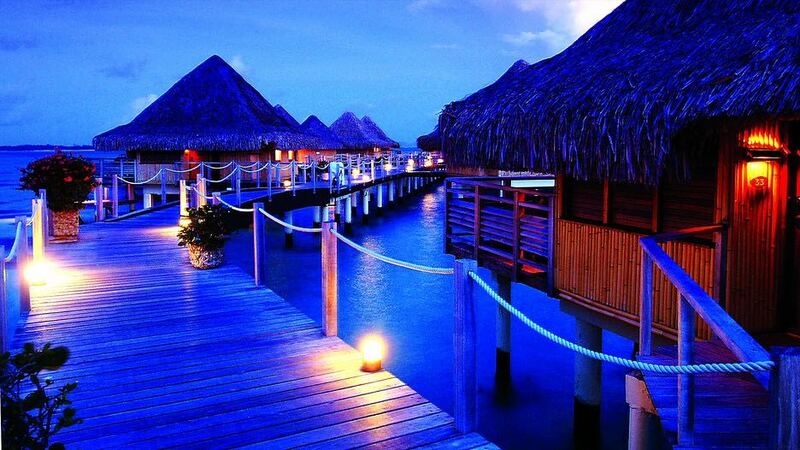 Bora bora has crystal clear waters, which seem to be beckoning you to get into them and swim. This is the best luxury resort to be. It is my most beautiful place in the world. The locals are as welcoming as fairies and as hospitable as angels. The blue sunny skies will wow you. The water is amazing. And you have two mountain peaks to climb. 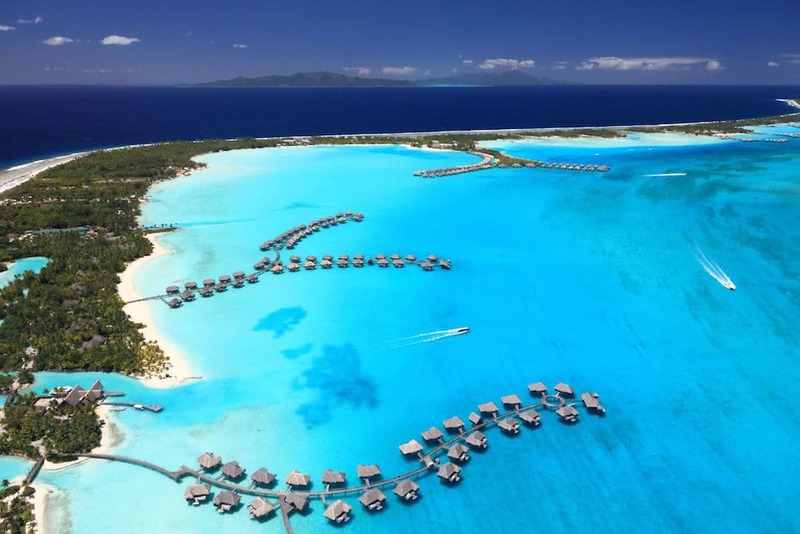 Tourism is the mainstay of income generation on this small Island located in the French Polynesia, and they have invested so much into bringing out the best the eyes can see. The only twist to visiting this amazing Island is how much it will cost to have your dream vacation. But nothing good comes cheap. Right? 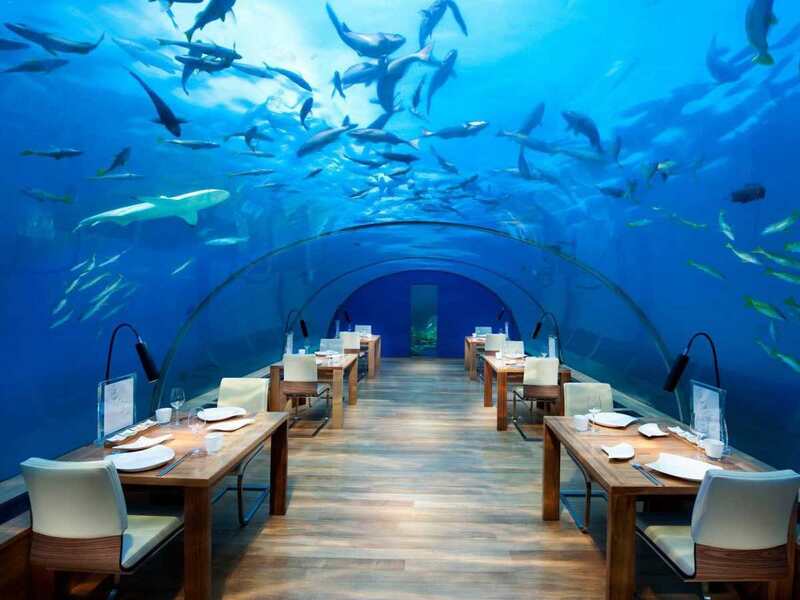 Won’t it be just amazing and awesome to witness the world’s largest coral reef system? And that’s why the Great Barrier Reef, located on the east coast of Australia, is probably the best place to visit while on vacation. While spanning a total of 1250 mile, the reef extends from Cape York to Bundaberg. 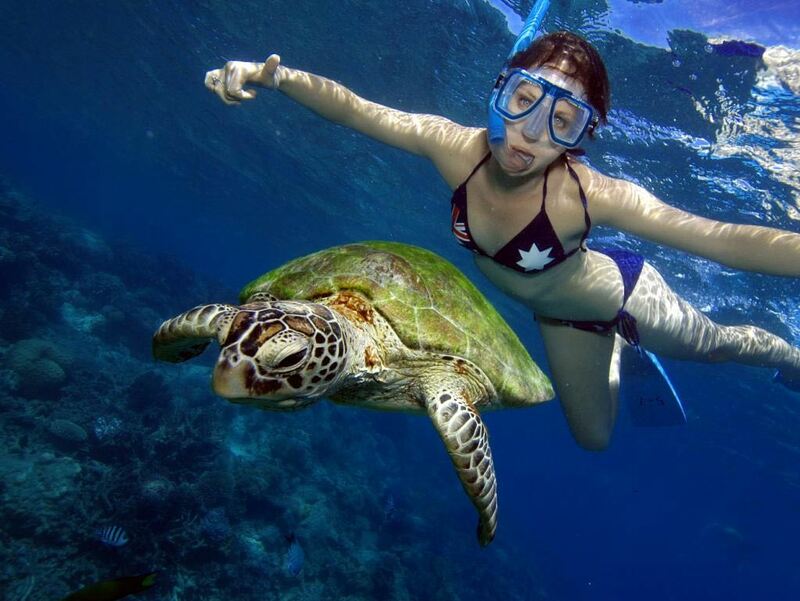 The reef boasts of over 3000 coral reefs, 1625 species of fish and also more than 500 islands. During your visit, you get to enjoy gazing at the awesome marine life and appreciate the beauty of the creator through a scuba mask or even on a plane gliding high above. 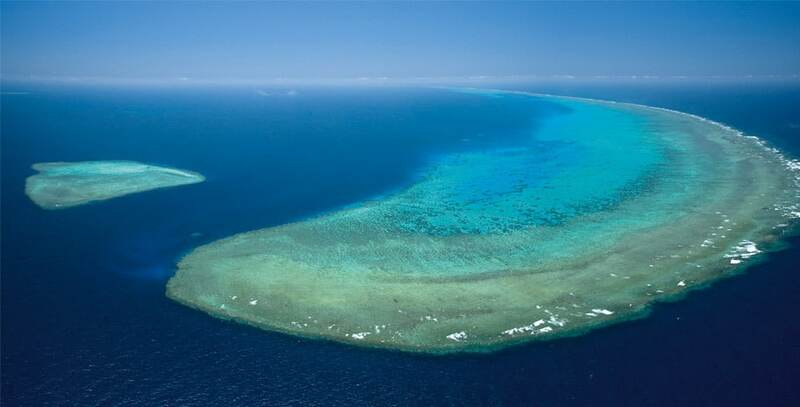 The Great Barrier Reef is such a treasure that it seem almost impossible to take it all in one visit. 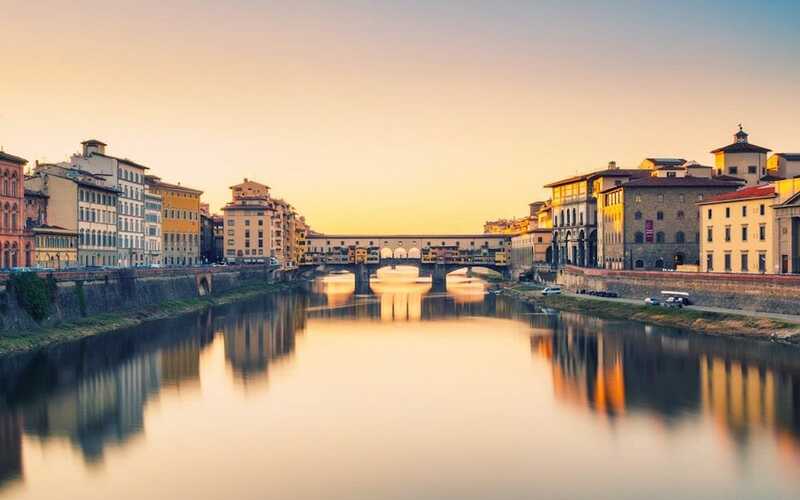 Sited in the midst of the Tuscan hills, the city of Florence boasts of some of the world’s most famous attractions including the Piazzale Michelangelo, Duomo, and Piazza Della Signoria. 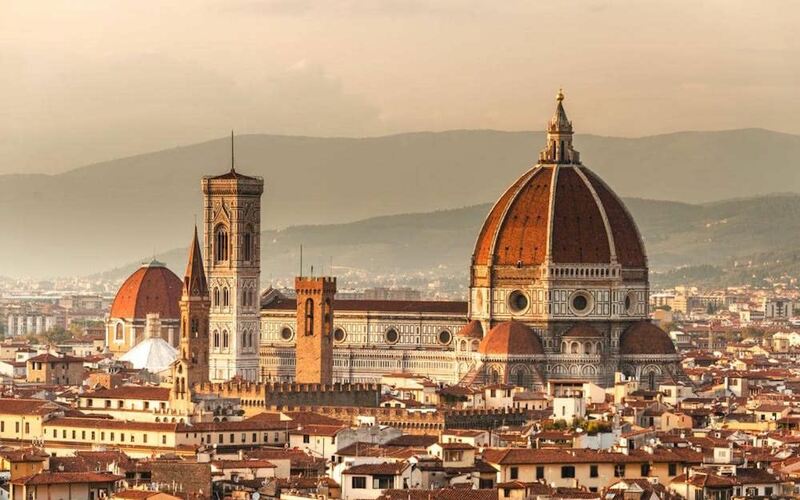 Not only is the city famous for its renaissance architecture and art, it also has a unique Tuscan cuisine and wine. The only way to describe this beautiful city of Davinci is through pictures. Its beautiful sunset and romantic charm make it one of the most beautiful cities in the world. 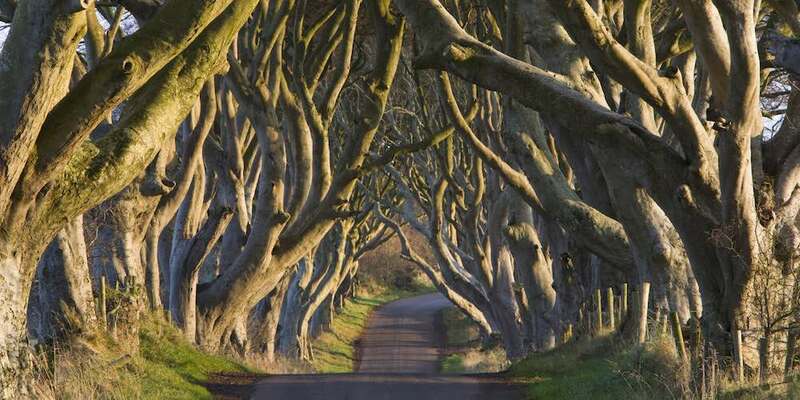 You cannot afford to leave this world without experiencing the Dark Hedges of Northern Ireland. 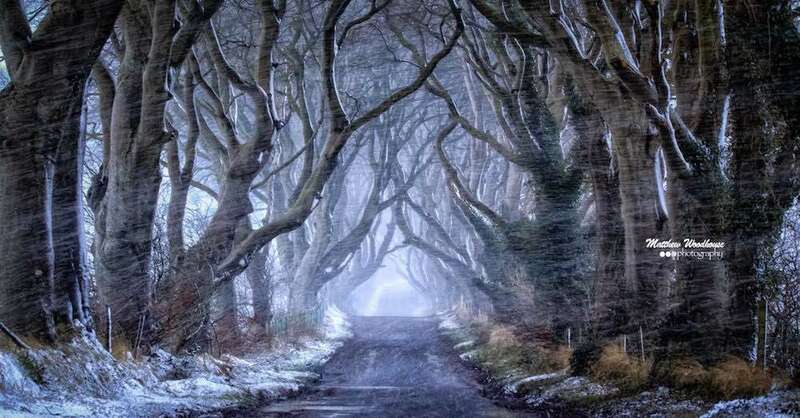 Planted in the eighteenth century by the Stuart family, this gorgeous avenue of beech trees is regarded as the most beautiful place in the world. The area is every photographer’s dream spot. For the young and romantic, there is no better destination for your honeymoon. And for the old and romantic, this is the haven of love. The islands of glowing water. 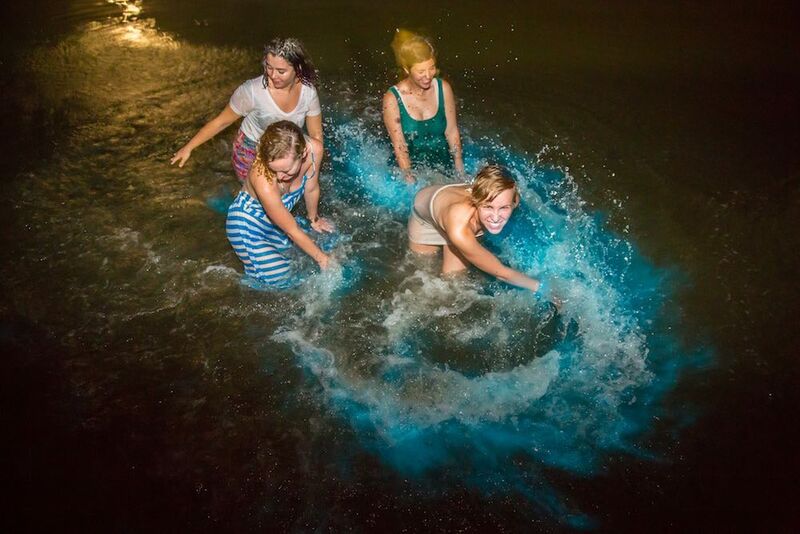 It got its name from the billions of plankton bodies that give out a blue glow from bioluminescence. Vaadhoo Islands attract tourists from all over the world because it appears like stars from heaven have fallen and rested on the waters of Maldives. 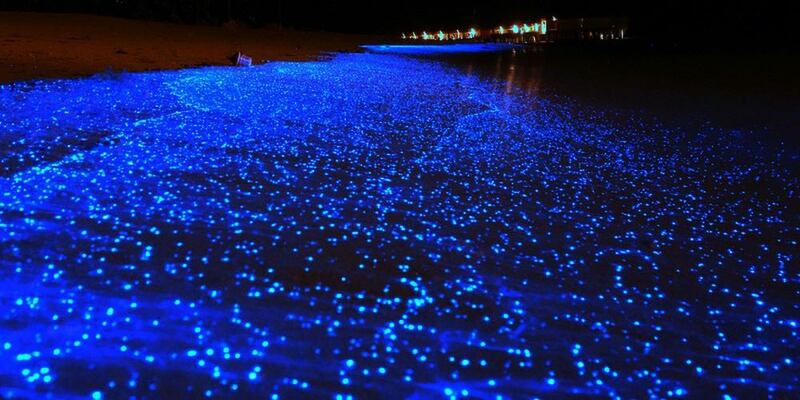 Sometimes, it makes me wonder why the earth couldn’t be so peaceful and warm as the magnificent glowing waters Maldives. A real This amazing damsel is located in Canyon Arizona. 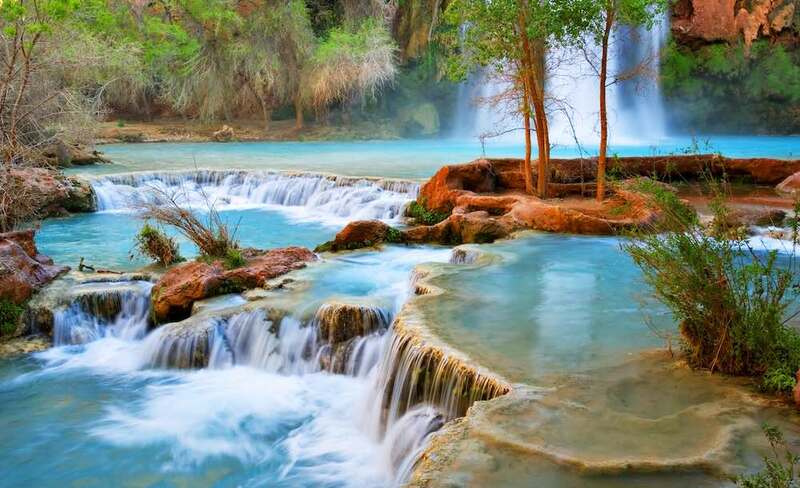 Heavily fortified with bluish-green water, the Havasupai Indian Reservation attracts more tourists annually than most places in the world. 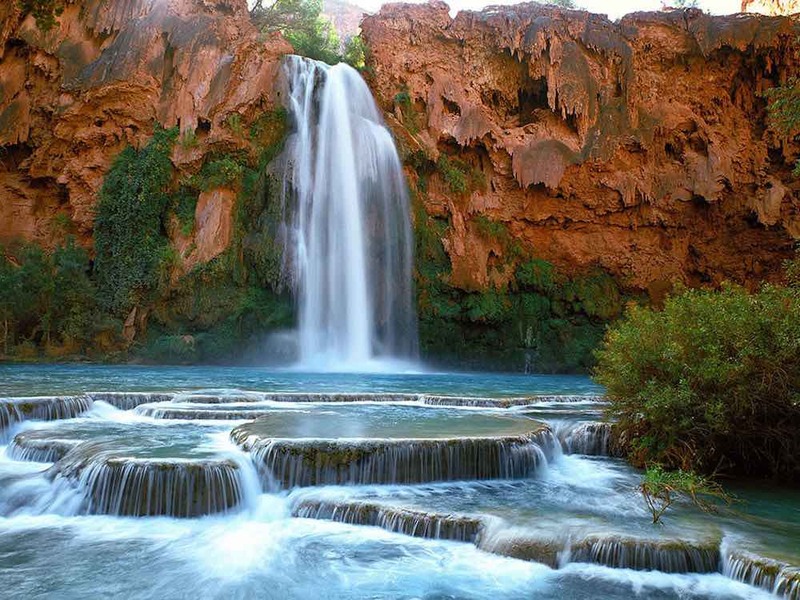 If you are in the mood to lose yourself and forget everything else, visit Havasu Falls. The Lau Islands of the southern Pacific Ocean are a collection of islands surrounded by breathtaking sites of marine life. Unlike some of the other beautiful places to visit, the Lau Islands have not been modified with any form of engineering. The appearance is as natural as the word nature. It brings to mind the Biblical Garden of Eden. This could be the world’s most beautiful cave network. I would add it to my list of the most amazing natural wonders of the earth. 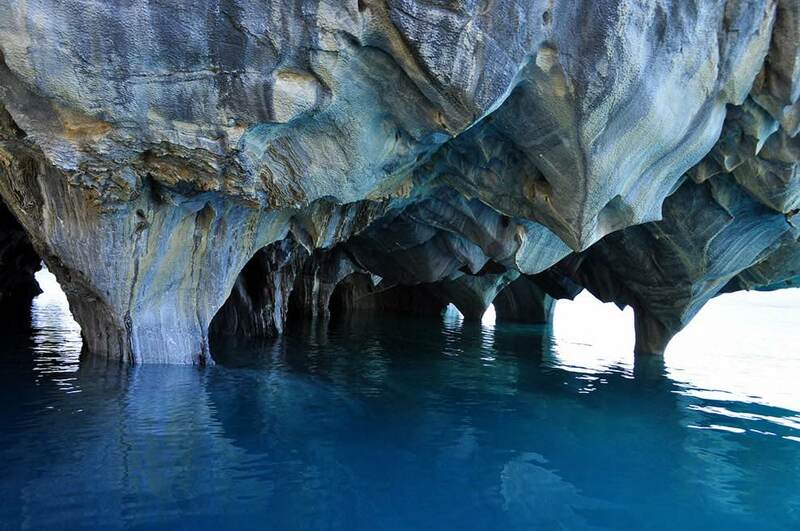 Located in Lake General Carrera in Patagonia, the walls of this network of water-filled marble caverns expresses how magnificent planet earth is. 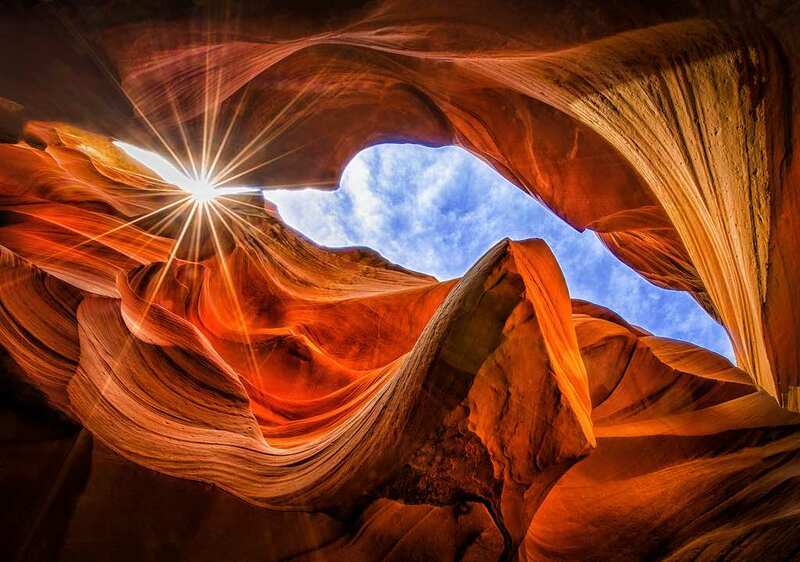 The Antelope Canyon is located in the Navajo Lands of Arizona. It is one of the most famous destinations for tourists and also photographers because of its breathtaking natural scenery. 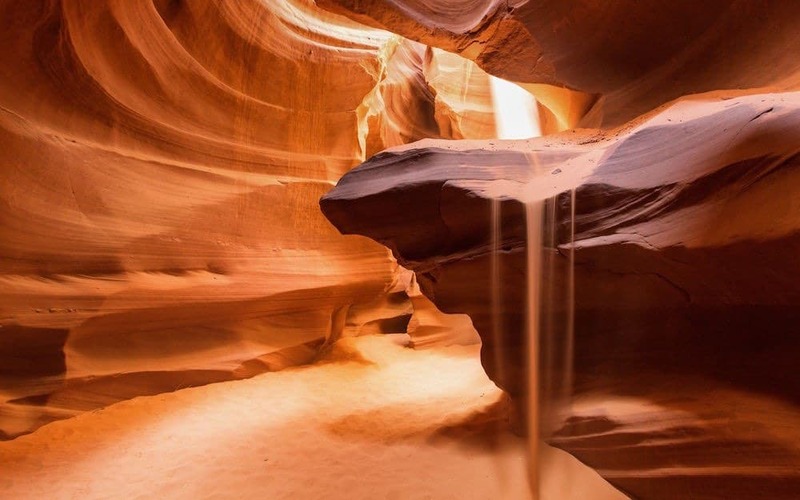 Enjoy Native American culture and live flute music resonating throughout antelope canyon. Visit, listen, and personally, experience the sound of the flute as it resonates through the mystical canyons. 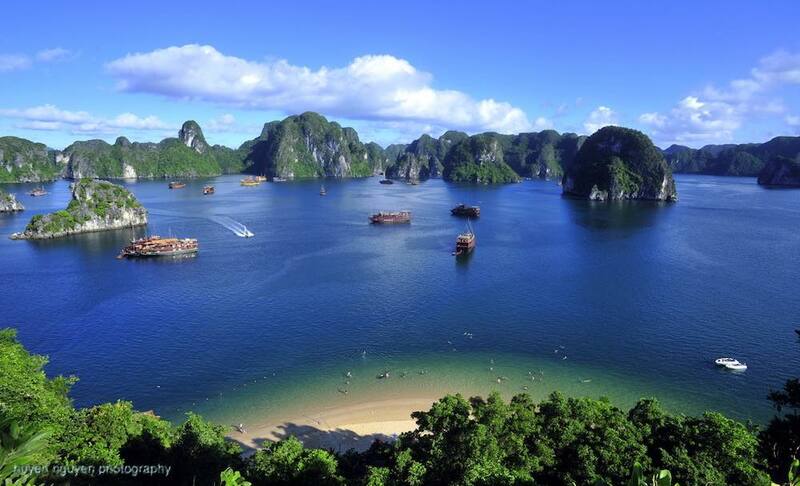 This bay is located 165km from the capital of Vietnam Hanoi. 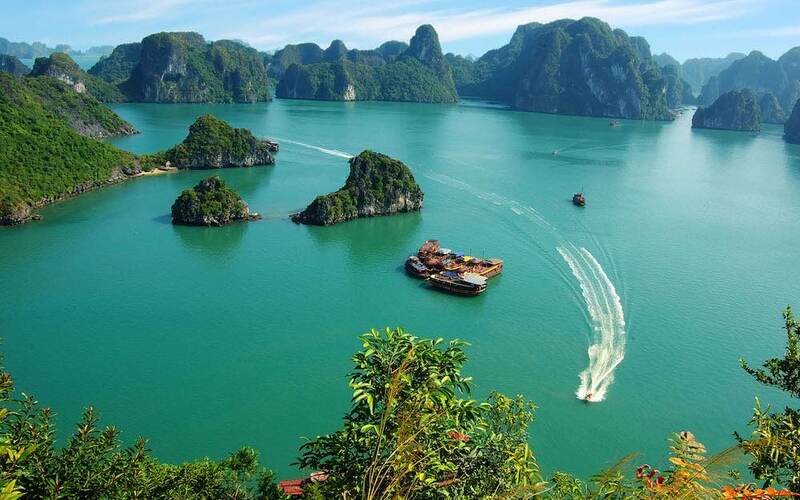 Despite the fact that Vietnamese is one of the hardest languages to learn, the people of Vietnam also have one of the most beautiful places in the world. 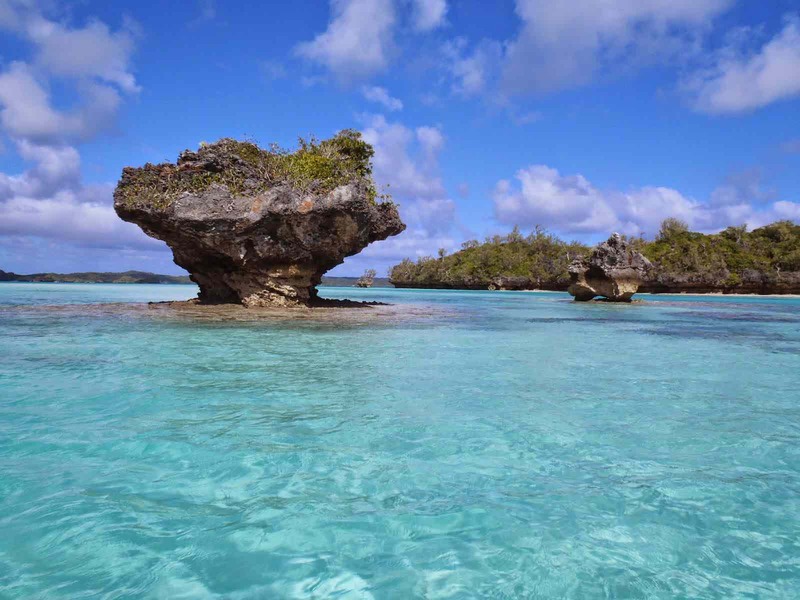 It covers an area comprising of 1600 islands and islets, forming a spectacular seascape of limestone pillars. Most of the Island is uninhabited and unaffected by human activities and it has been declared by UNESCO as one of the world’s heritage site. Prepare to cruise on the waters of Ha Long Bay and if you want a better experience, fly the tourism seaplane and get a spectacular dragon-eye view of the place. 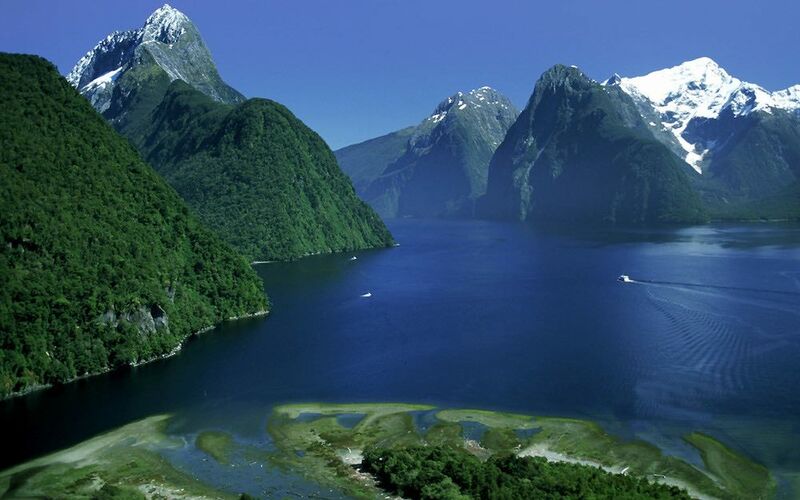 It is indeed a difficult task to narrow down the world’s most beautiful places to visit. There are a lot more magnificent destinations, which cannot all be exhausted in our Top 10 list. But we have given you a head start and hope you have fun visiting any of our top 10 most beautiful places in the world.